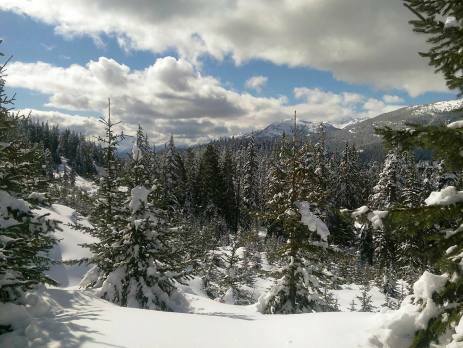 Whistler Blackcomb is a haven for ski and snowboard enthusiasts and is a globally renowned resort for its quality of terrain and quantity of snow. Oyster sends groups out to Whistler every year to work in the Whistler Kids ski school, hospitality work in one of the resort’s hotels or complete a challenging 4 week or 11 week ski instructor course! When you want to have a rest-day from skiing or snowboarding or looking for something to do in the evening, there are plenty of other fun, exciting and memorable options to choose from. Here are just a few the Oyster team recommend! If you still want an extreme activity but off the slopes, then Ziptrek tours through the forest from mountain to mountain is perfect for you. Strap in and whizz down ziplines, over the Fitzsimmons creek and wind your way through the high canopy on this exhilarating tour. Oyster participants enjoy this experience during their orientation when arriving in Whistler. A different activity to get the heart-beating is the highly popular and thrilling snowmobile tours and experiences. 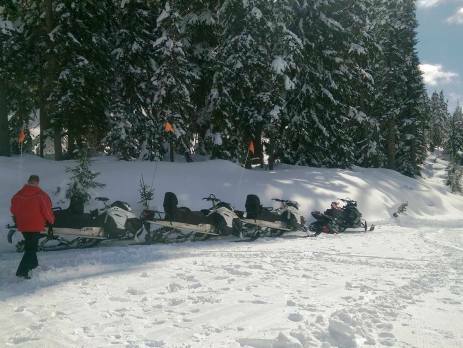 There are various tours where you can zoom along the stunning backcountry of the Callaghan Valley, along tree-runs and frozen lakes in new 4-stroke snowmobiles, climbing up the Sproatt Mountain as you go. If you want a more chilled and luxurious experience, then the Crystal Hut Fondue by Snowmobile is for you! You get the chance to glide up in the evening to the mountain-top restaurant on Blackcomb and indulge is delicious gooey traditional cheese fondue, whilst viewing the beautiful panorama of Whistler from the log-cabin. A great family or group activity is to head to the Coca-Cola Tube Park on Blackcomb Mountain. Grab a donut-ring, make your way up to the top of the park via the conveyor belt and prepare to toboggan down the slippery tracks; racing against one another! This is a sure-fire, cheap, fun group activity to do without needing to put your skis or boots on. At the Whistler Sliding Centre you can see bobsleighs, skeletons and luge competitions, as people hurtle down the fastest ice-track in the world! The legacy which the Winter Olympics gave in 2010 continues as athletes from around the world compete here, which you can spectate at! If you’re feeling brave, you can experience the thrill yourself in a two-person bobsleigh, reaching speeds of 90km/hr! To sit back, relax and chill in a beautiful location then look no further than Whistler’s most unique Scandinave Spa. The spa offers a traditional hot and cold bathing experience to rejuvenate yourself and get rid of any aches or pains from the mountain. While being outdoors and looking across the trees on Whistler and Blackcomb Mountains, the tranquillity will make you feel infinitely better. Add a sauna session, massage or shower under a Nordic waterfall to finish off an authentic experience. When you want to get out of the resort, the Sea-to-Sky Highway offers a quick and beautiful route, skirting the Coast Mountains to nearby towns and of course Vancouver. 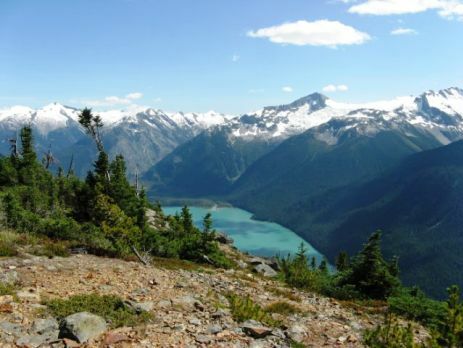 Squamish, an old logging town, boasts great scenery, hiking and cycling paths. Only an hour’s drive from Whistler, you can visit the amazing Shannon Falls waterfall. Or if you’re feeling adventurous, climb up the rock face that is Stawamus Chief! If you don’t feel like climbing you can get the Sea-to-Sky Gondola instead, presenting superb views of the Howe Sound. Thinking of going further afield? Vancouver is only 2 hours away from Whistler and with fairly frequent and early buses shuttling the two places, day trips can be made. This allows enough time to visit the aquarium in Stanley Park, shopping along Robson and Granville Street or a meal down in Gastown or Yaletown. 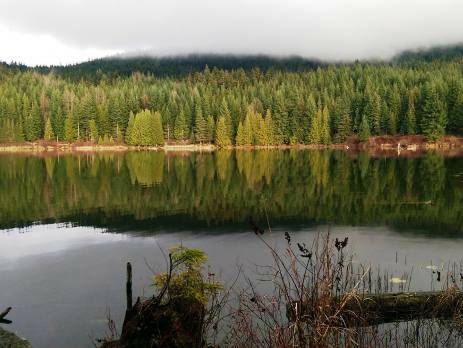 A popular way to wind-down is to walk around Lost Lake or Alta Lake, two small lakes in the Whistler forest with the mountains sticking out in the background. A 2 hour round walk offers many picturesque views. In the summer the lakes are full of sunbathers, swimmers and people having picnics. In the winter you are even able to cross-country ski on the lake! Whether it is an activity just as exciting as being on the slopes or some R&R in a spa to small excursions away, there are plenty of opportunities to enjoy your free time in Whistler. So, if you feel this lifestyle is for you, checkout our hospitality and ski instructor programmes we offer in Whistler, or elsewhere in Canada.